What does Mallemaroking mean? It is an archaic naval term which means “the carousing of sailors on icebound Greenland whaling ships”. I got the definition from the Chambers Dictionary but it seems wiktionary has it too. I first came across it just before reaching Port Lockroy back in (I think) 1997. There was an American who was so taken with being in Antarctica he scoured the ship's dictionary to find a suitable word. He got as far as “m”, found "mallemaroking" - and knew that he had a "winner"
Mallemaroking sounds OK to me. 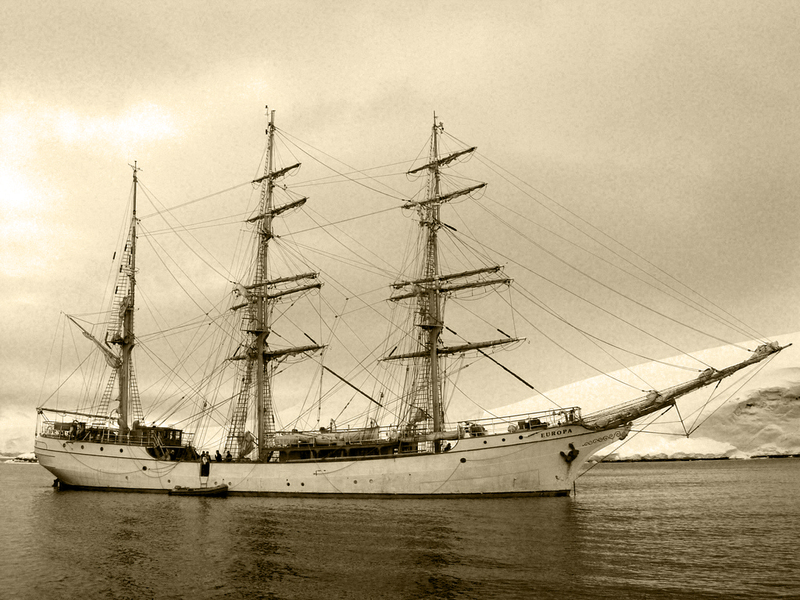 OK Its not a whaling ship, but Europa is a tall ship which occasionally goes to Antarctica.